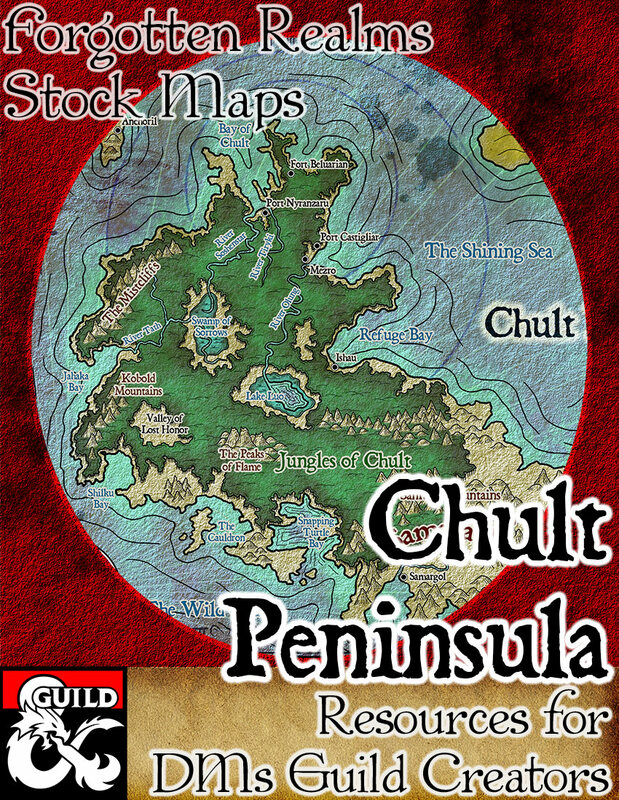 This is a hand drawn map of Chult Peninsula. 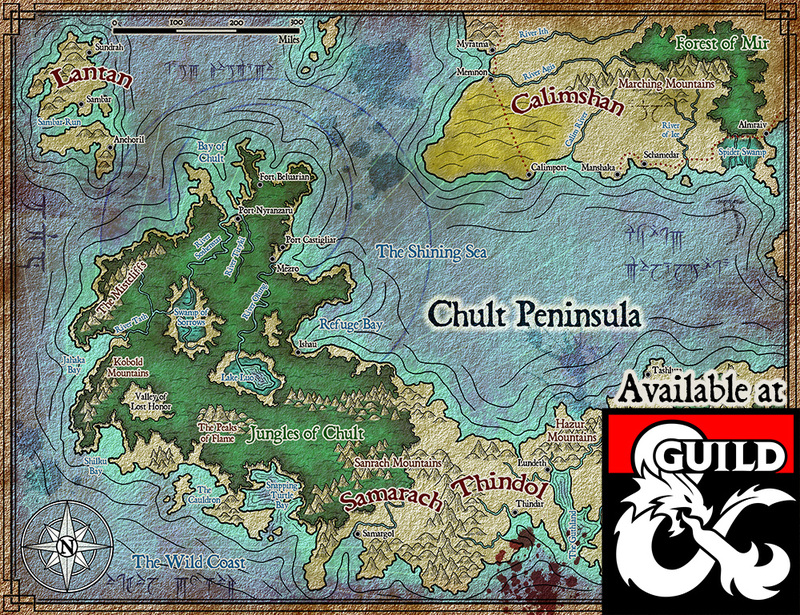 Are you ready to explore the mysterious jungles and ruins inside Chult? It is illustrated in the style of a local cartographer, excellent to be a prop given to players. It comes in two versions. Full color and Printer friendly. Both are shown in the document preview. The Illustration has a resolution of 3640×2800, 300 dpi. Perfect to be printed to crisp quality or for use in VTT environments.